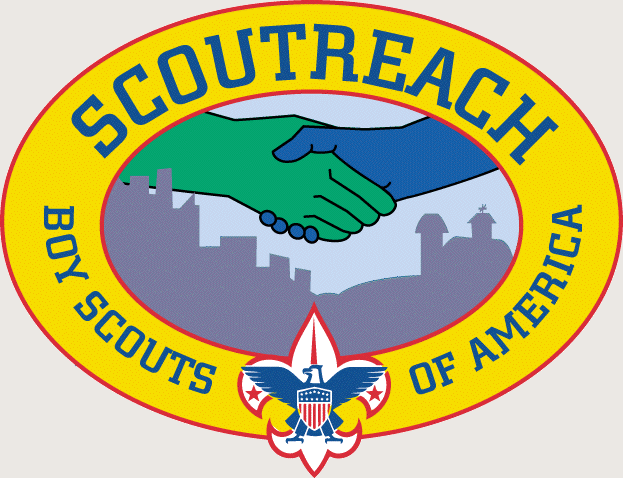 The Scoutreach Division gives special leadership and emphasis to urban and rural Scouting programs. Scoutreach is the BSA’s commitment to making sure that all young people have an opportunity to join Scouting, regardless of their circumstances, neighborhood, or ethnic background. Today, young people are faced with many challenges including fragile families and disintegrating neighborhoods. Scoutreach meets the developmental needs of youth in urban settings as diverse as the Latino neighborhoods of South Central Los Angeles and the housing developments of Washington, D.C. The program also focuses on the U.S. rural population, which constitutes approximately 25 percent of the total U.S. population. Some rural communities are stable and growing, whereas others are characterized by decentralized, low-density populations and/or poverty. Our biggest asset in urban and rural neighborhoods is a well-defined program based on values, learning by doing, fun, and positive role models.